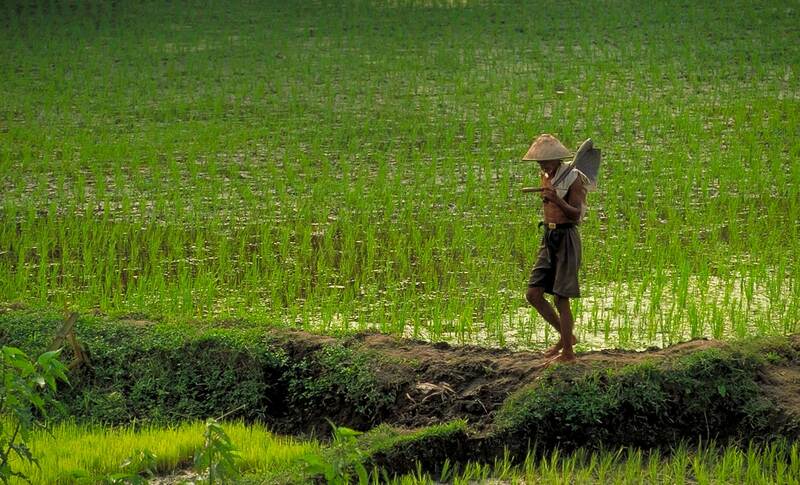 Rice Farmer with shovel in Indonesia walking on path near very green rice field. Photo was taken with telephoto lens. This travel photo was taken for Alexander and Roberts Travel Agency.